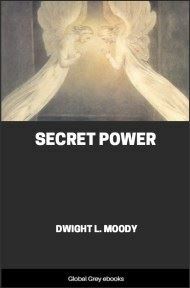 This was supposed to be a first in a series titled Christ, Christians and Christianity, but no more books were ever published. 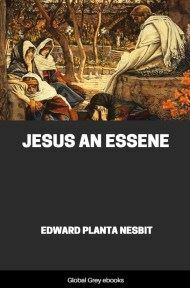 In the book, Nesbit makes a very radical proposal which hinges on Jesus being a member of the Essene sect, today known as the custodians of the famous 'Dead Sea Scrolls.' There were no chapter breaks in this book, so rather than present it in one long chapter, I arbitrarily split it into 5 chapters. The Jews, long before the time of Jesus, were divided into three sects, the Sadducees, the Pharisees, and the Essenes. 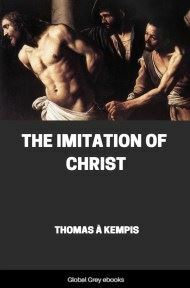 It is almost impossible in reading of the last not to be forcibly struck with the remarkable resemblance between their doctrines, precepts and practices, and those of Jesus and the early Christians. Jesus is recorded to have frequently rebuked and denounced both the Sadducees and Pharisees, but it is not related that he once mentioned the Essenes by name. Yet we are informed by both Philo and Josephus that at the period in which John the Baptist and Jesus were born the Essenes were scattered over Palestine, and that they numbered about four thousand souls. It should be mentioned that peculiar importance is to be attached to the testimony of both Philo and Josephus respecting the mode of life pursued by the Essenes, as these authors were fully acquainted with it. They speak also with great respect and reverence of this sect, as surpassing all others in virtue. Josephus informs us that they led the same kind of life as the Pythagoreans in Greece, and that by their excellent virtue they were thought worthy even of divine revelations, while Philo says they were honoured with the appellation of Essenes because of their exceeding holiness. As regards the word "Essene," we are informed that there is hardly an expression the etymology of which has called forth such a diversity of opinion as this name. The Greek and the Hebrew, the Syriac and the Chaldee names of persons and names of places, have successively been appealed to, to yield the etymology of this appellation, and to tell the reason why it has been given to this sect, and there are no less, if not more, than nineteen different explanations of it. The same authority just cited says that the term "Essene" was "coined" by Philo and Josephus for the benefit of the Greeks. The words Therapeuts and Essenes are convertible terms, and refer primarily to the art of healing which these devotees professed, as it was believed in those days that sanctity was closely allied to the exercise of this power, and that no cure of any sort could be imputed simply to natural causes. 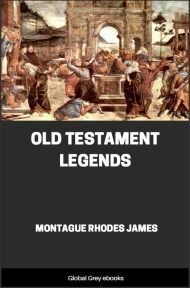 Additional value belongs to the records of these two historians, because they describe the life of the Essenes as it was in the time of Jesus. Philo was about sixty-two years old when the Great Teacher commenced his short but important career, and he survived the latter between ten and fifteen years, the exact period of his death being unknown. He lived chiefly at Alexandria, though he mentions having once visited Jerusalem. He does not appear to have met Jesus, for, being an ardent admirer of virtue himself, he would probably in that case have left us some record of his excellencies and sufferings. If he did hear of him, he may possibly have regarded him simply as a peculiarly enthusiastic member of that sect which he has described so minutely. Josephus was contemporary with Philo, but lived to a somewhat later period. There is a reference to the Jesus of Scripture in the pages of this historian, but it is considered by many to have been interpolated and fathered upon this Jewish writer by some early Christian copyist. The passage stands thus:—"Now, there was about this time Jesus, a wise man, if it be lawful to call him a man, for he was a doer of wonderful works,—a teacher of such men as receive the truth with pleasure. He drew over to him both many of the Jews, and many of the Gentiles. He was Christ, and when Pilate, at the suggestion of the principal men amongst us, had condemned him to the cross, those that loved him at the first did not forsake him, but he appeared 'to them again the third day, as the divine prophets had foretold these and ten thousand other wonderful things concerning him; and the tribe of Christians, so named after him, are not extinct at this day." Renan says of the foregoing allusion to Jesus, "I believe the passage respecting Jesus to be authentic. It is perfectly in the style of Josephus, and if this historian has made mention of Jesus, it is thus that he must have spoken of him. We feel only that a Christian hand has retouched the passage, has added a few words, without which it would almost have been blasphemous, has perhaps retrenched or modified some expressions. 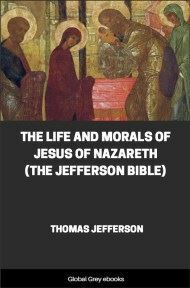 It must be recollected that the literary fortune of Josephus was made by the Christians, who adopted his writings as essential documents to their sacred history. They made, probably in the second century, an edition according to Christian ideas." 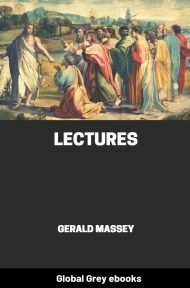 Another French writer of distinction says, "No one in our day maintains any longer the entire authenticity of the chapter which Josephus devotes to Christ in his Antiquities." Opinions will probably ever differ respecting the celebrated passage last cited from Josephus. Thus the Rev. Dr. Giles says, "Those who are best acquainted with the character of Josephus and the style of his writings, have no hesitation in condemning this passage as a forgery; interpolated in the text, during the third century, by some pious Christian, who was scandalized that so famous a writer as Josephus should have taken no notice of the Gospels or of Christ, their subject." Concerning the same passage, a still more eminent authority says, "The passage concerning Jesus Christ was inserted into the text of Josephus between the time of Origen and that of Eusebius, and may furnish us with an example of a vulgar forgery." Dr. N. Lardner was also evidently of opinion that the passage referred to above, in Josephus, was a forgery. He says, "Who was the first author of this interpolation cannot be said. Tanaquil Faber suspected Eusebius. 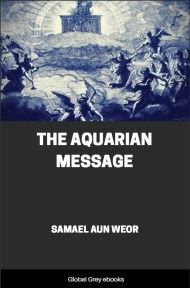 I do not charge it upon him; but I think it was first made about his time, for, if I am not mistaken, we have seen sufficient reason to believe that this paragraph was not quoted by Origen, nor by any ancient Christian writer before Eusebius, that we have any knowledge of."